Clark Rockefeller, iIn this booking photo released by the Boston Police, was arrested for allegedly kidnapping his 7-year-old daughter Reigh Storrow Boss. He was captured in Baltimore. The phony Rockefeller charged with kidnapping his little girl may be a German immigrant who rented the guest house of a California couple who disappeared in 1985. 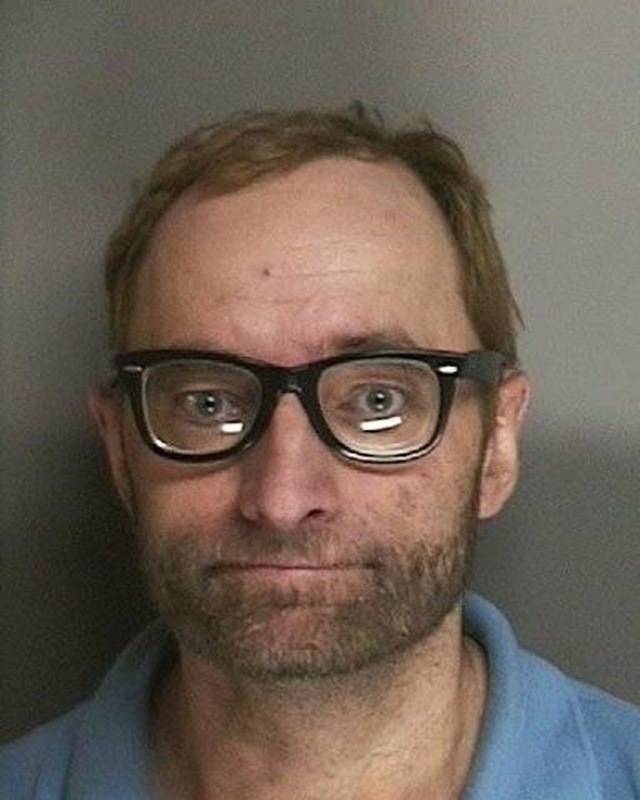 Investigators say fingerprints iindicate that Clark Rockefeller, who ignited an international manhunt by snatching his 7-year-old daughter in Boston on July 27, is actually Christopher Chichester, according to the Daily News. Chichester has long been a suspect in the disappearance of Jonathan and Linda Sohus, who vanished from their home in San Marino, Calif. The Sohus' neighbor Cori Wood told the New York Post that after seeing a photo of Rockefeller she was convinced he is Chichester. Rockefeller's lawyer Stephen Hrones told the Daily News that he won't allow the fake blueblood to talk to authorities investigating the Sohus' disappearance. Rockefeller was arrested last week in Baltimore where he was hiding out with his daughter. She was not hurt. He is being held in a Boston jail cell, awaiting a court appearance.